I love Christmas crafts. I especially like to make tree ornaments. This time of year is so busy, so why don’t I start a few months early? I wait for the Christmas spirit, the special inspiration to hit that makes me want to create in every spare moment. I may think I will make more of what captures my imagination later, but it rarely works out that way. One year I was into making clothespin dolls. One year I knit many little bears. I crocheted snowflakes, I knitted little stockings. 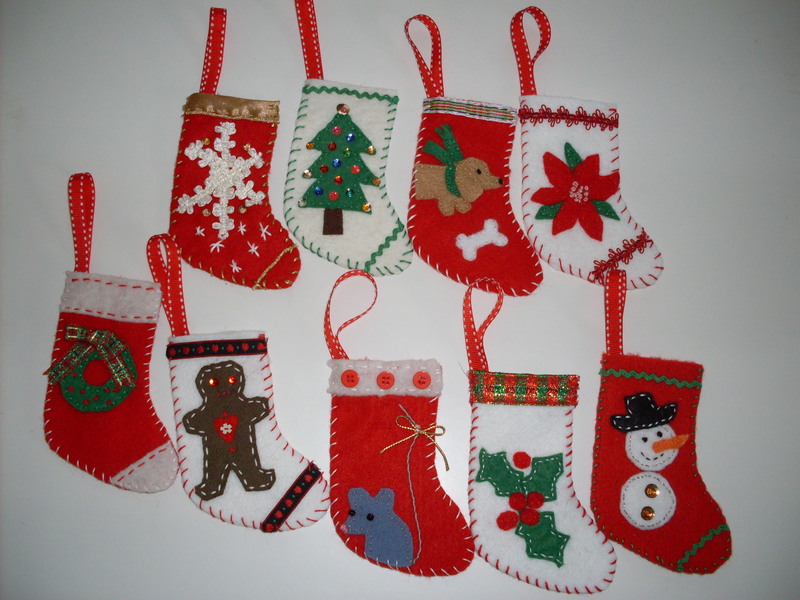 This year I was caught up in making small felt stockings. I drew shapes from paper as templates for the felt cutouts, and then gathered ribbons, sequins, and embroidery floss to hand sew each one. I sewed on the shapes with a running stitch- some with thread the same color as the shape, others with a contrasting color. I whip stitched the two sides together. The fun part was making each one different, and thinking of ideas of what I wanted to make next. Here are the nine I came up with. I love them all! Well, ok, I think the poinsettia is the prettiest and the gingerbread boy’s eyes look a little creepy. Do you have a favorite? I wonder what I’ll be making next Christmas. 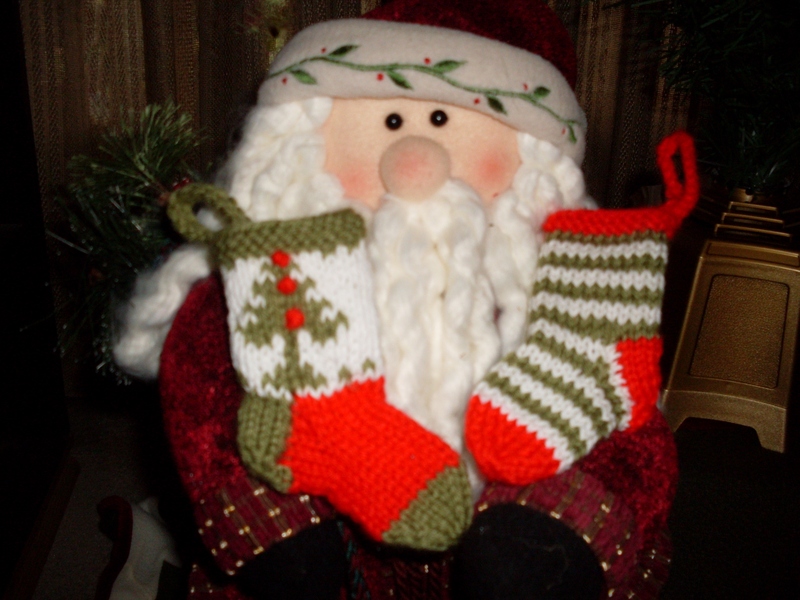 This entry was posted in Sewing and tagged Christmas, Christmas ornaments, Christmas stockings, felt stockings on December 22, 2012 by Stitch It Again.